Mariner Craft Handcraft | Halifax Seaport Farmers' Market Ltd. If you’re tired of buying belts that fall apart after a short time, come see us! 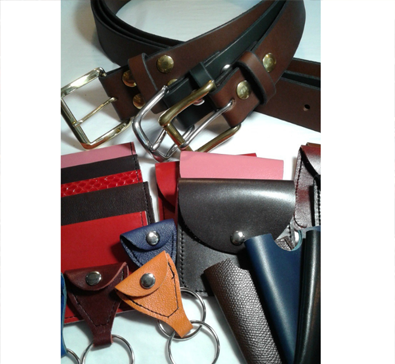 We produce handcrafted solid cowhide belts. We also make a variety of smaller leather items, kiln-fired bubble glass, and silver wire and stone bead jewellery. Producing locally since 1978, we have been at the Halifax Farmers’ Market since 1997.